WIN begins broadcasting TEN programmes in Northern NSW and Gold Coast from Friday September 1. The WIN Network’s purchase of television assets and operations covers Newcastle, Tamworth, Taree, Coffs Harbour, Lismore and the Gold Coast. From September 1 TEN will be broadcast by WIN on Channel 5. TEN HD screens on Channel 50. ONE will move to Channel 51, ELEVEN will broadcast on Channel 52, TVSN is on Channel 54 and Gold is on Channel 55. 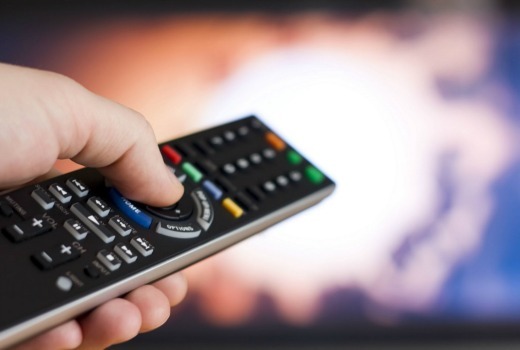 Viewers may need to rescan their television sets on September 1 as their favourite programs may be on a different channel number. WIN Network CEO Andrew Lancaster said, “We have Australia’s largest regional television network and we have proven ourselves to be committed to working with each and every one of our communities. While most digital televisions, Set Top Boxes and Digital Video Recorders will automatically locate and update the new channels, some older devices may not automatically update. If this is the case, viewers may see a black screen or the phrase ‘no signal’ on the screen on the channels where they used to watch Ten, One or Eleven. Re-scanning your television set on September 1 is simple and fast. Just check your manual or, in the menu on your remote, search for set-up and take the auto-tune option. Be aware you may need to re-allocate favourites or any special options you have on your set. To help viewers with any enquiries about the channel changes, WIN has set up a telephone hotline and has posted FAQs on its website. WIN Support Line: Ph 1300 640 166. Those WIN watermarks are absolutely ridiculous. Aren’t there any rules and regulations about this sort of thing? Is there somebody I can complain to? ACMA? Free TV? Viewers should also get used to WIN News which quite often does pseudo stories about what Bruce Gordon thinks about a particular issue, promoting Gordon’s other business interests and Gordon’s political campaigns including lobbying the government to change the reach laws and telling viewers that WIN would stop broadcasting local news unless the government did it. Oh, and I think someone has also mentioned the bright blue WIN billboard in the corner of the screen during shows. They wonder why the Metropolitan cities are overrun with people while regional areas are dwindling it’s because of things like WIN TV! The problem for NNSW and GC viewers is that they will have to suffer through their hideous blue watermark of Australia with WIN inside the logo. I know it’s a minor thing to quibble about, but it’s annoying the hell out of me. At this point isn’t WIN in every regional location? At what point will they be in violation of the 75% rule? They’d be a long way off 75% given that they’re broadcasting mostly in regional markets. Yeah, miles off (it’s population, not area or markets or anything). From memory, the broadcaster really close to it is 7 – with Sunshine/7 Qld, they’re less than 0.5% below the 75% limit. Just quickly looked a bit further into it. From WIN’s numbers, they’re at ~30% reach. WIN are down from their peak, when they owned Nine Perth and Nine Adelaide. Have fun with your giant WIN watermark Northern NSW. What is the channel number Wintv on Foxtel channel ten is foxtel number is110 but cannot find Wintv foxtel number ? WIN screens TEN shows so I’m not sure I understand the question. Try calling the number? Isn’t it 5/52 as shown on the Foxtel Nth NSW Guide?